Chennai seems to be in love with digging. Plethora of agencies dig up roads for all kinds of reasons, most not valid for the much haggard Chennaite. The road condition doesn't seem to matter. 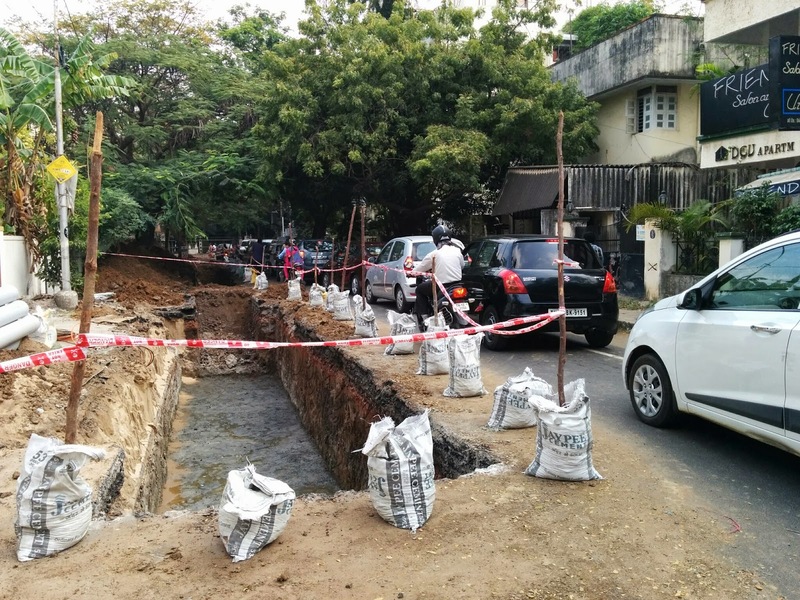 Whether the road in severe disrepair or newly minted road, some agency or the other.. legal or otherwise, Chennai roads are continually being dug up. Needless to say, after each dig, the digging agencies leave the place worser, though they are 'supposed' to mend and lead the road in 'perfect' condition. 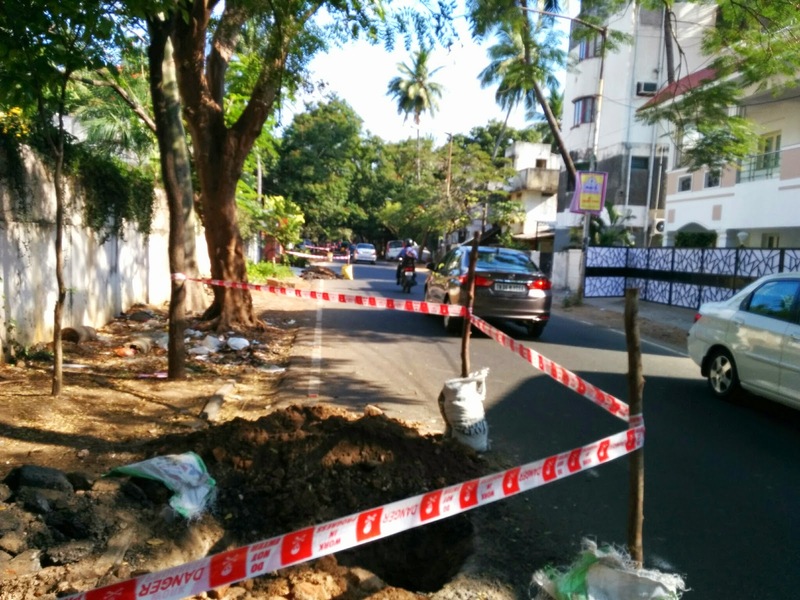 After a long neglect, Prithvi Ave in Abhiramapuram saw a fresh coat of asphalt just two months back. The was in fairly decent condition until of course, some and clean until some agency decides to dig it up. For a dig like this, you would expect somebody would know why. I started with asking the actual 'diggers' who were sweating it out on a steamy March day in Chennai. They either truly didn't know or feigned ignorance. Moreover, we had a language issue as well. Like in many places now in Chennai, they were migrant labourers from Bihar / Assam / Orissa and didn't speak a word of Tamil. They pointed me to their Supervisor, who did speak Tamil. When I approached him, he first wanted to know why I wanted to know. When he saw me taking pictures, he tried to shoo me away and when that failed, started 'threatening' me. I just drove 100 meters from him and took the pictures & left. Coordinate Digging - City must work with all stakeholders (electricity, water, cable, phone, sewage, Internet..) and draw a 'plan of digging' before digging. Provide info to citizens - Publish an annual digging plan for each street with start and end date, including the contractor name. Impose penalties - Make contractors pay for shoddy job.